SoundStation IP 7000 multi-unit connectivity kit. For large room coverage. Includes two consoles, multi-interface module with universal power supply, 1.8m power cord with CEE 7/7 plug and 7.6m console interconnect cable. Does not include Brazil. 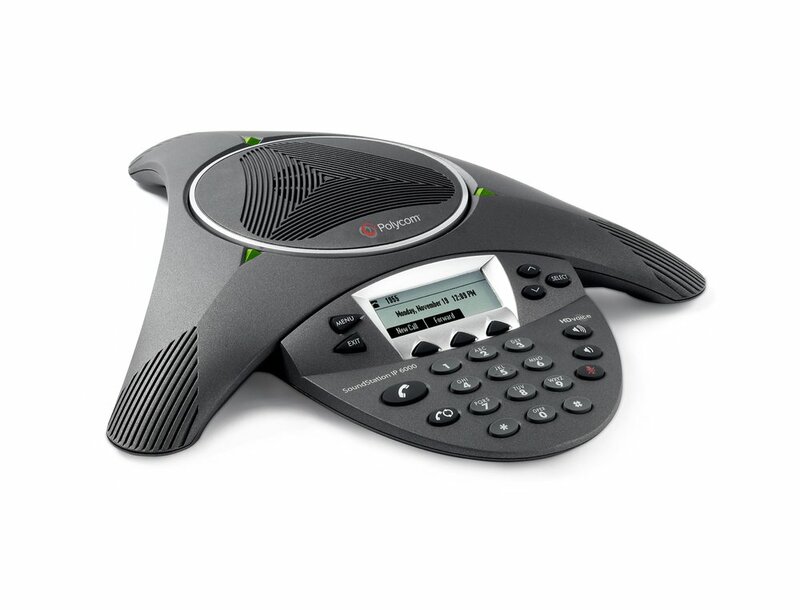 SoundStation IP6000 (SIP) conf phone. AC pwr or 802.3af Power over Ethernet. Includes 100-240V power supply, 0.4A, 48V/19W; CEE 7/7 power plug; 7.6m Cat5 shielded Ethernet cable; Pwr Insert Cable. Expandable. Does not include Brazil. SoundStation IP 6000 (SIP) conference phone. 802.3af Power over Ethernet. Expandable. Includes 25ft/7.6m Cat5 shielded Ethernet cable. Does not include China, Russia. SoundStation IP 7000 (SIP) conference phone. 802.3af Power over Ethernet. Expandable. Includes 25ft/7.6m CAT5 shielded Ethernet cable. Does not include Russia. SoundStation IP5000 (SIP) conference phone. 802.3af Power over Ethernet. Includes 25ft/7.6m Cat5 Ethernet cable. Does not include China, Russia.